Being a student, ACNE is a brand, amongst many other of course, which is pretty unattainable (unless you're working 4 other jobs, a hitman or want to live off bread crumbs for the rest of the year). 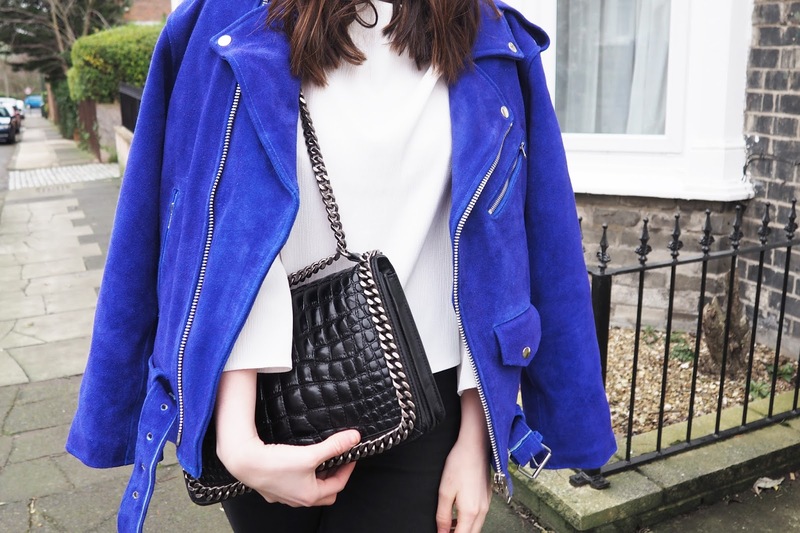 I have been an avid lover of ACNE and their uhmazing suede biker jackets for a while, particularly after seeing Sammi's stunning blue one. So, after hunting it down for a while and finding myself with no luck, and no money, along comes this baby. Spotted in an ad in the corner of a web page seconds before I clicked off, could it be? Low and behold, this ASOS (is there anything they can't do?!) beauty. At £165 it still isn't the cheapest, but compared to the price of a real ACNE, it'll do me just fine. It's fair to say the time it took for me to put this in the checkout, pay and finalise, was record breaking. As if I don't have enough coats/jackets/suede in my wardrobe as it is, but what's one more, ey? It's also pretty fair to say that when it arrived I may have peed a little with excitement. Okay, maybe not, but you get my drift. I was close. You can find this absolute belter here. You're welcome my friends. Totally, I love investing in timeless pieces that I know will last for years, and this is definitely one! 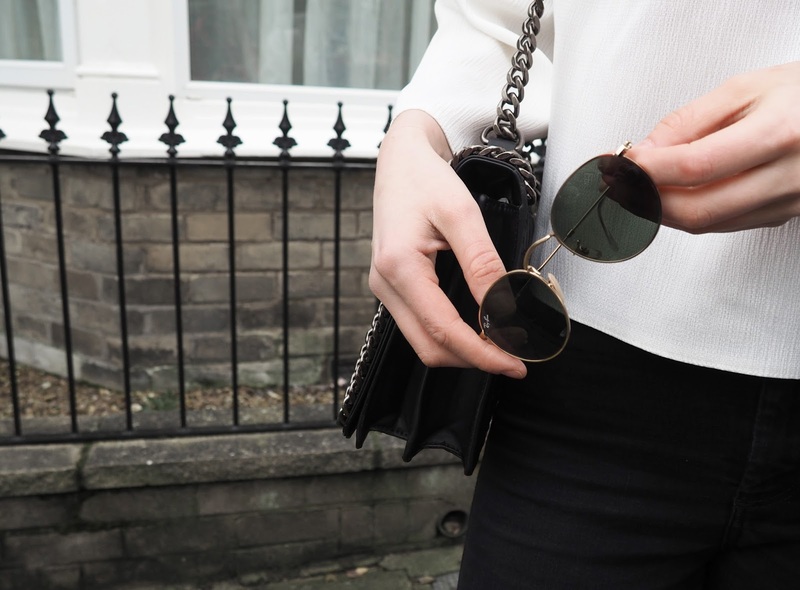 Gorgeous outfit - So glad I stumbled across your blog! That's so sweet - thank you! This jacket is so so stunning - you look flawless! And you're right, in comparison to Acne it's a total steal. Those boots, those sunnies, and that jacket are all things I need in my life! A pretty good combo aren't they! That jacket is stunning! 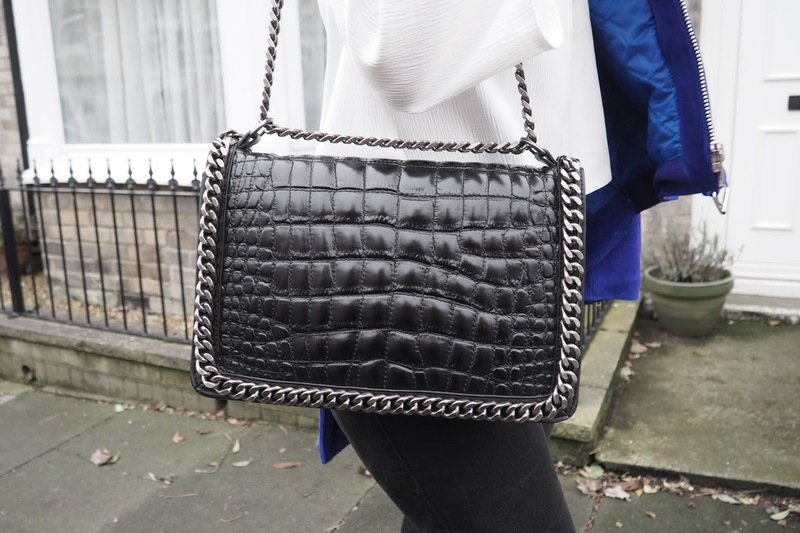 Such a good dupe, and I love how you've styled it! I know! Couldn't believe how alike they were, thank you Amber! love your outfit!! the jacket is fab! Hi ! Love this jacket. What size did you take ?